Lord Ganesha is the god of beginnings, knowledge, wisdom, intellect and eradicator of obstacles. 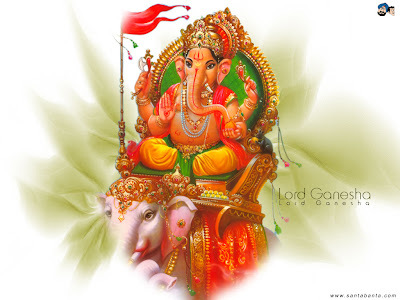 Lord Ganesha is the child of lord Shiva and goddess Parvati. He is the elder brother of lord Kartikay (Skanda/ Murugana). Ganesha is the most extensively worshipped god in Hindu way of life. Each sort of worship whether tantric or spiritual starts with the prayers of Ganesha in Hinduism as he is known as the eradicator of obstacles (Vighneshawar). He is worshipped in the starting of any propitious event for blessings and hassle-free work. Lord Ganesha is invoked as the "Patron of Letters" at the beginning of any writing. Ganesha figures show extensive variation with dissimilar patterns changing over ages. A different mixture of his elephant-like head, a pot belly and a small mouse makes him different from all other Hindu gods in appearance. Many a times, he is represented standing, sitting, dancing, like a warrior in heroic action against demons, playing with his family as a boy, sitting down, or in a significant range of contemporary situations when depicted in festival displays. Ganesha has four hands, holding an axe in the right upper arm, while the left upper arm holds a noose, signs of his ability to cut through obstacles or to create them as required. 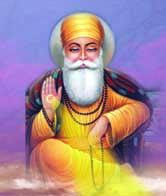 In the third one he carries laddoo (a sweet delicacy) and the fourth hand's palm is always there to bless people. His vahana is a tiny mouse which represents the dominated demon of pride and impertinence. Shri Ganesh Chalisa is a "forty verse" prayer. Verses are recited or chanted by groups. The acts and deeds of Lord Ganesha are recalled in these verses to aid the devotee to meditate on virtuous and noble qualities. There are many stories of Lord Ganesha regarding his origin and various others which tell about the nature and traits of his character. Ganesha is known as the god of wisdom, literature and worldly success. He is known as the eldest son of Lord Shiva and Parvati (Uma), younger brother being Kartikay. Here are some legends associated with lord Ganesha. This story is about Lord Ganesha's birth and how he gets the head of an elephant. Once upon a time, Parvati was going to take the bath and before going, she made a boy out of the dirt of her body ,to guard the entrance of her house. She asked him not to allow anyone inside .After saying this, she went inside to take the bath. After this lord shiva came himself to meet his consort and he was quite thirsty. Ganesha stopped him at the door as he was unable to recognize his father ,Lord Shiva. Lord Ganesha was beheaded by Shiva, who took him as an outsider, when Ganesha was trying to defend his mother's bath. When Parvati came to know about this, she persuaded Shiva, to restore Ganesha to life. Shiva ordered his servants (Gana) to bring the head of any creature that they come across first. An elephant, the wisest of animals, appeared and became the spontaneous donor in the head transplant of Ganesha. Shiva attached the head of the elephant to the torso of Ganesha. After looking at the child (Ganesha), Parvati asked Shiva that who will consider this god with the face of an elephant. Understanding Parvati's viewpoint, Shiva blessed the child, Ganesha that he will be the lord of beginning and people will worship him first, before any other God in any kind of undertaking. He ordained that the annual worship of Ganesha, should take place on the fourth day of the bright half of Bhadrapada (August-September). This is another interesting story of Lord Ganesha.Once Ganesha and Kartikay got into an argument as who was the elder of the two. The matter was told to Lord Shiva for an answer. Lord Shiva asked that whoever would travel around the world and come out first had the right to be the elder of two. Lord Kartikay flew off on his vehicle, the peacock, to take the round of the world. But Ganesha went round his parents and asked for the reward of his success. Lord Shiva said: "Beloved and wise -Ganesha! You did not go round the world". Ganesha replied: "No, but I went round my parents. My parents symbolize the entire world.'' The argument was settled in favour of Ganesha and thereafter recognized as the elder of the two brothers. Ganesha got a fruit as reward from his mother Parvati for this. Lord Ganesha is very fond of Laddoo (Modaka - a sweet delicacy). Once upon a day of Ganesha Puja, Ganesha went from house to house and accepted the offerings of laddoo. He stuffed himself to the capacity and decided to take a ride on his mouse at night. Along the moonlit road they got to see a large snake and the troubled rat stumbled, with the consequence Ganpati fell down .He hit the ground hard and as a result his stomach burst open. All the laddoos came out but Ganesha again stuffed them into his stomach. He caught the snake and tied it round his belly. Moon witnessed the whole event and laughed heartily. Lord Ganesha lost his temper and furiously looked about for something to throw at his tormentor. Getting nothing, he pulled out one of his tusks and hurled it at the moon. He cursed the moon that no one should look at the moon on the day of Ganesha Puja .If anyone would look at it , he will get a bad name ,criticism or ill reputation. If anyone gets to see the moon by chance, he would be free from that bad name or blame, after hearing the story of Lord Krishna's clearing, his personality in respect of the Syamantaka jewel. Thus, Ganesha was happy to proclaim this. Ganesha Mantras are known as Siddhi Mantra (the one with perfection). Each and every mantra is full of energy and power of Lord Ganesha. It is believed that mantras of Ganesha, when chanted with genuine devotion, give positive results. These mantras ward off all trials and troubles gracing the devotee with every success. All mantras are disclosed by the Almighty, through the Intelligence, Vision and Experience of the divinely illuminated and perfected sages and men of integral God-Experience. "Praise to Lord Ganesha". This is the mantra of prayer, love and adoration. It is chanted to get Ganesha's blessings for the positive starting of a project, work or simply to offer him the praise. This is Lord Ganesha's mula ("root") mantra .It is also known as his ''beej'' Mantra. This mantra is used for Yoga Sadhana in which we pray to Lord Ganesha and merge ourself with the supreme knowledge and peace. This is a mantra from Ganapati Upanishad. 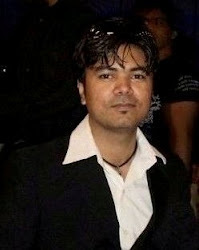 One can always use it before starting any new venture so that success comes without any hassle. This is a powerful mantra from Ganesha Purana. When things are not in your favour, or when the minds of the people turn negative, depressed or discouraged, the attention of Ganesha may be drawn by this mantra to straighten their ways. The HUM symbolizes "Delay no more, my Lord, in straightening the paths of the crooked-minded ones." This mantra is used many a times in the Ganesha Purana to reduce the violence of cruel demons. In addition, this mantra could also be used for healing any spinal problem, such as curvature of the spine or curved limbs. Dedicate 1,008 repetitions of this holy word to straighten and heal such deficiencies. Kshipra means immediate. If some danger or negative energy is coming your way and you don't know how to get rid of that danger, with true devotion, practice this mantra for quick blessing and purification of one's aura. There are several beej (seed) mantras in this mantra. Among other things, it says, "Shower Your blessings, O Lord. I offer my ego as an oblation." This mantra has a lot of meaning, in simple terms, it means you will be always very beautiful in soul, in spirit, in face, everything. By meditating on this mantra, very pleasing manners and a beauty comes on you. Along with that comes peace, which constantly works in your eyes; and the words you speak are all filled with that power of love. Ekadanta refers to one tusk in the elephant face, which means God broke the duality and made you to have a complete one-pointed mind. Whoever has that oneness of mind and single-minded devotion will achieve everything. Kapila (red) means that you are able to give colour therapy. You are able to create colours around yourself and around others, soak them in that colour and heal them. As per the mantra you create, so will you create the colors. Another meaning is "wish cow," the "cow of plenty." It means that whatever you wish, that comes true. There is a wish-cow inside you. Whatever you wish, especially for curing others, comes true instantly. The ears of Ganesha, the elephant - god, are constant fanning, which means people can talk a lot, but you are not receiving inside anything other than what is important. It also means that you can sit anywhere and tune this celestial tube (the body) with seven channels (chakras) and all 72,000 nadis, to any loka and be able to hear ancestors, angels, the voice of God or the voice of prophets. That kind of inner ear you will develop through this mantra. This means you feel that you are this universe. It means that all the celestial bodies are within you. Like an entire tree is in the seed, the whole universe is in the sound of creation, which is Aum, and that Aum consciousness in you makes you feel that you are the universe. Therefore, if you say, realizing the oneness with the universe, "shanti to the world" every day, then the grace of God will come and there will be world peace, universal peace. It is the universe within Aum and Aum within you. This means realizing this world as a dream or a drama. When you are in that high consciousness, this whole world looks like a dream. All of us have taken a role. We have to play our role in life as wife or husband or children or citizens, all consistent with the role we have taken. When an actor bitten by a sponge cobra that is brought on the stage falls, the entire audience cries; but that boy who has fallen knows it was not a real cobra and he is not dead. Life is a drama --definitely life in this material world, this physical world of ego, is a drama. But inside, like the boy on the stage who is quite happy knowing that he didn't die by the bite of the sponge cobra, like that, the truth never dies in us; it is immortal. So everything else you consider as drama. That consciousness comes to you by knowing this mantra. This mantra invokes the Lord Ganesha to remove every hindrance in your life and in your works. By constant meditation on this mantra, all obstacles and blocked energy in your physical and cosmological bodies are released. Vinayaka is the name of Ganesha in the golden age. So by realizing this mantra, your life will have a golden age. In your office, in your work, you'll be the boss. Vinayaka means something under control. Vinayaka means the Lord of resolving problems. This mantra is very important. Suppose you have a group, a country, neighbours, or any kind of group therapy, group healing or a whole country requiring healing, then you have to bring that entire group to your mind's arena and say this mantra. A group healing takes place by this mantra. In Sanskrit, bhala means the forehead center. Chandra means the crescent moon. Bhalachandra means that chakra from where the nectar drips. That is the secret of all healing. It is to feel yourself as Shiva, identifying yourself with the Truth and feeling constantly that you are carrying the crescent moon, the symbol of growth and nectar of peace.